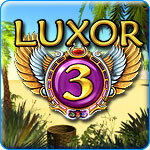 Luxor 3 Game - Download and Play Free Version! Go on an ethereal journey as you battle the power-hungry god of Chaos! 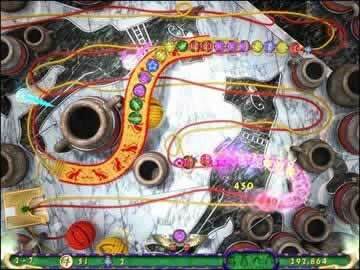 LUXOR 3 takes you on an ethereal journey as you battle the power-hungry god of Chaos to free the essences of other Egyptian gods before they reach the pyramid at the end of their path. Utilize reflectors to make nearly impossible matches, make three matches in a row and release supernatural power-ups, and collect Ankh coins to use for purchasing important upgrades. 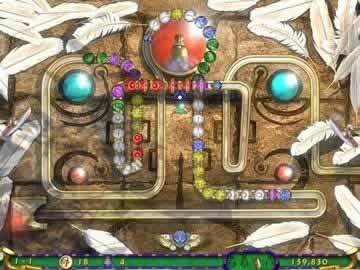 Plus collect jars to unlock bonus levels and hit elusive Golden Scarabs to discover hidden treasures!